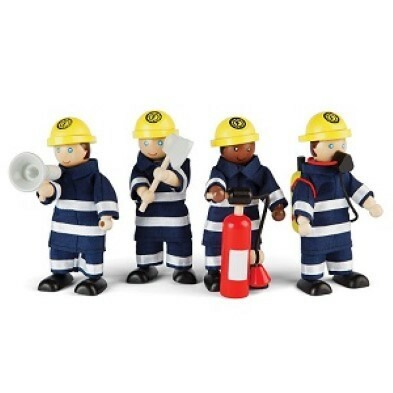 Kids love acting out emergency situations and our exciting range of Emergency-themed wooden toys fit the bill perfectly! 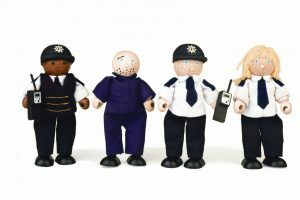 Children love to pretend being a Fireman, Policeman or a Doctor. Racing to rescue a cat from a tree or dash to put out a play fire. 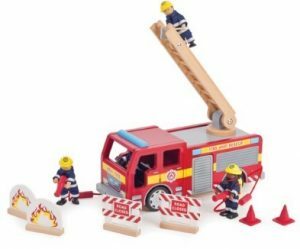 Our quality range of wooden Toy Police Cars, Fire Engine toys and Emergency Services toys for kids really enhances their playtime. 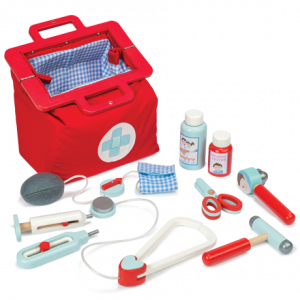 Along with our Doctor Set for kids the emergency will be resolved in no time. Imaginations stretch as young children play. Emergency services toys provide plenty of interaction opportunities when children are playing together. 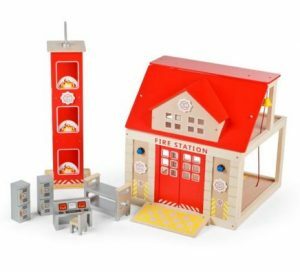 For instance, the wooden Fire station gets help from the wooden Police Station for an armed robber (see our fab Youtube Pintoy police toy video). However, these brilliant toys are also very good for solo play. Young children love fanciful play. As they play with the emergency theme toys, they imagine themselves to be the policeman, the firefighter, etc. And it is a given that kids also love toys with parts that move. Toy emergency vehicles in particular, typically have wheels, ladders, hoses, etc that can be manipulated. For example, a wooden Fire Engine Toy. Young children adore this type of toy. They challenge their fine motor skills. 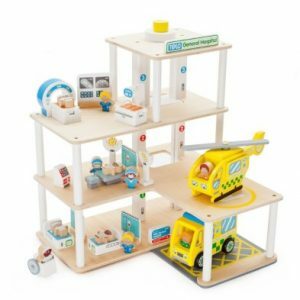 Similarly, these wooden toys are a tremendous starting block for creative play. 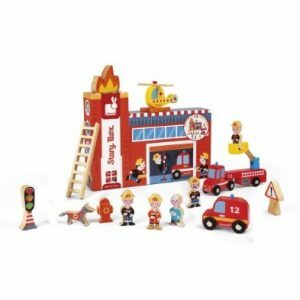 Select from wooden fire stations, fire engines, fire fighters, wooden toy hospitals and wooden toy police stations (complete with police officers and prisoners!) at The Toy Centre. These wooden toys are tough and durable. So will put up with hours of intensive play. Children learn quickly through play. So get that fun wooden Emergency Services toy today!